Claude Hopper goes to the Big Island - Hawaii! Claude Hopper recently went to Big Island of Hawaii and played several of shows with the Colin John Band and General Delivery (Colin John and Cliff Starbuck). While there, work continued on a music travelogue documentary project featuring Colin John. [title] => Claude Hopper goes to the Big Island - Hawaii! 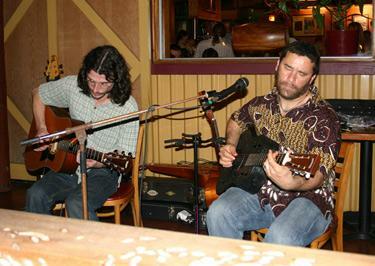 Claude Hopper recently went to Big Island of Hawaii and played several of shows with the Colin John Band and General Delivery. While there, work continued on a music travelogue documentary project featuring Colin John.